1. Zee Avi. Her music is delightful. I listen to it everyday. You’ll love it too. You can listen to her entire album on her site before purchasing it ! Here’s a music video to help you fall in love with her. If you are reading this in RSS reader or email you will need to click through to view the video. 2. Sseko Designs Sandals. 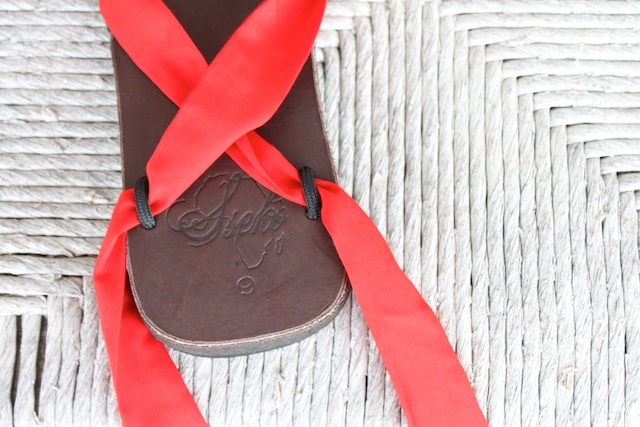 I am sporting a new red pair of these Sseko sandals. Don’t mind my un-pedicured toes in the picture below. They are so comfortable, I feel like I am walking on air. Not only are the sandals comfortable, they also allow you to get creative by inventing new ways to tie them. Liz, the owner and founder of Sseko, put together about 8 tutorials on their YouTube page to get you started on different ways to tie them. Lastly, Sseko Designs have the best customer service I have ever experienced. You will not be disappointed with them. 3. Lie to Me and MasterChef. These are the two shows I am addicted to right now. I am glad that Lie to Me will continue on into the fall. It’s suspenseful and funny. Dr. Lightman the human lie detector is pure genius. And MasterChef. Well, that gave me a whole new appreciation for food. I never realized food can be such an art form. It’s incredible what they are able to do with simple ingredients. I can’t wait to see who wins MasterChef next week. 4. 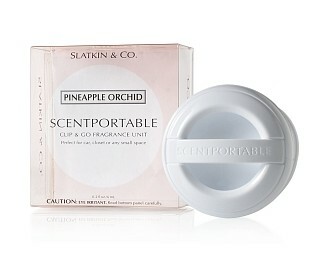 Scentportable. I was looking for something to brighten the smell of my car. I didn’t want the cheap air fresheners, those cardboard ones in a shape of a tree and smells like the taxi. I thought I would stop by Bath and Body Works to see what they had. Um, yeah. This was perfect. The Scentportable has a clip on the back that you can clip onto your visor or that pouch on the back of your driver’s seat. Or they even have ones with a clip to attach to your car air vents. Ahh… Much better. I have this pineapple orchid in my car. It’s lovely. 5. Xhilaration jersey pajama pant . I found this at my local Target on sale for $10. When it comes to lounging, I can lounge. I love to lounge around. And these pajama pants I can lounge around in them all day. Them? Yes. I bought 2 pairs. One in the rose pink and the other in heather gray. So.Comfortable. » Tell me… What has been your favorite things lately? Share with me! And I hope you have a happy Friday! i lvoe zee avi too! she is one of my pandora stations. 🙂 JUST yesterday i was thinking the same thing as you were about a car air freshener. thanks for the tip! i know! love those sandals. Those sandals are adorable! 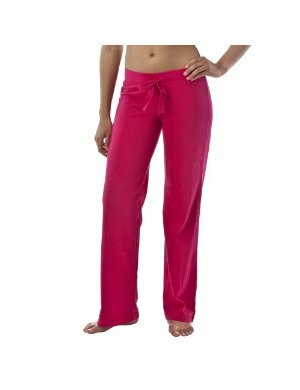 I think I have those lounge pants from Target, they are my absolute favorite… so comfortable. I try and pair it with a cuter shirt and then feel like I’m dressed (who am I kidding) my other favorite thing is my bathrobe. My hubby bought it for me from V.S. last year, it’s so fluffy… I could wear it all day! Those pants from Target ARE perfect! Whenever I find something great, I always buy two. You just never know. My recent favorites are my new moccasins (also from Target – not on sale but still only $18!). I wear them All. The. Time. I also have the Target pants in pink! They quickly became my go-to lounging pants. i’m so glad that you all have those same target pants. they are the most comfortable pair of pants i own!